Add a haiku! You remember the pattern: three lines, with five syllables in the first line, seven in the second, and five in the third. You can also do variations on the haiku. Please feel free to decorate your page(s) in any way you like. 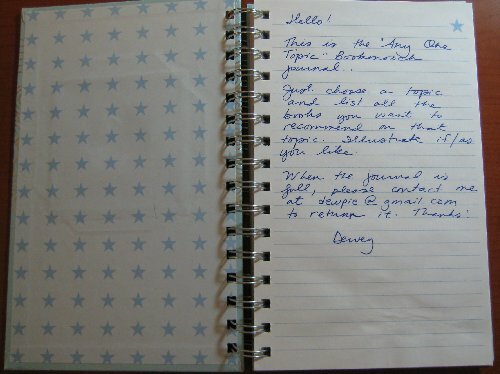 When the journal is full, please contact dewpie@gmail.com to return it. 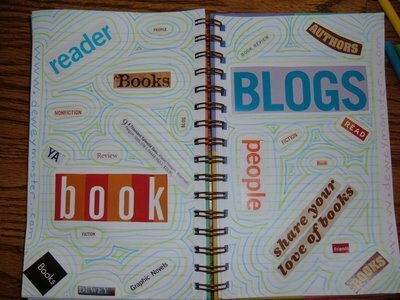 This Bookmooch Journal is for those who wish to share their blogging experience. Using text, images, or whatever suits you, illustrate your blogging experience in whatever way seems right. 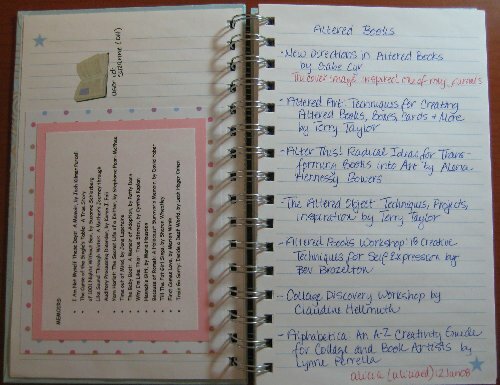 Please include your blog url on any page(s) of the journal you use. Please return the journal to me when it’s finished. My email address is dewpie at gmail. 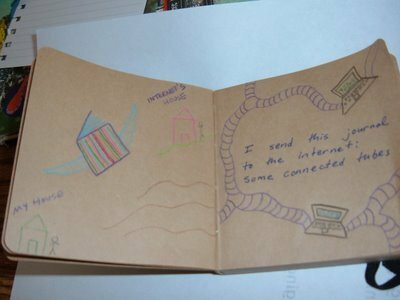 This journal was lost in the post to the first requestor. Art, mischief and mayhem based on the designs and traditions of playing cards. 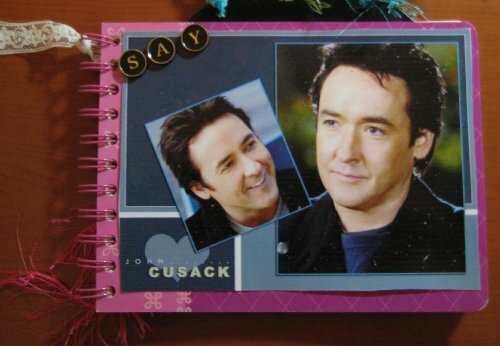 A bookmooch journal, dedicated to photos, memories, about John Cusack and his movies. Your thoughts, your favorite movies, lines from movies, feel free to use VHS cases to do altered art. I would like to show this to my kids so keep it clean. 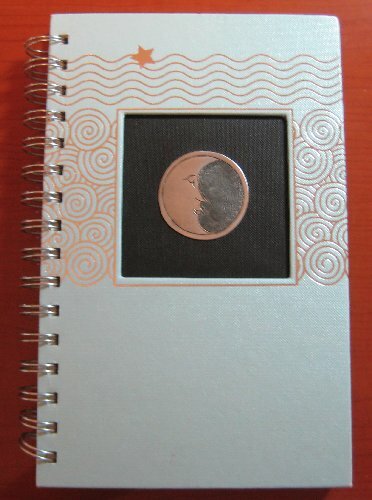 You can feel free to decorate the front and back cover. Please limit yourself to 2 pages. Please return to 8izenuff when it is full. Please don’t alter others work. 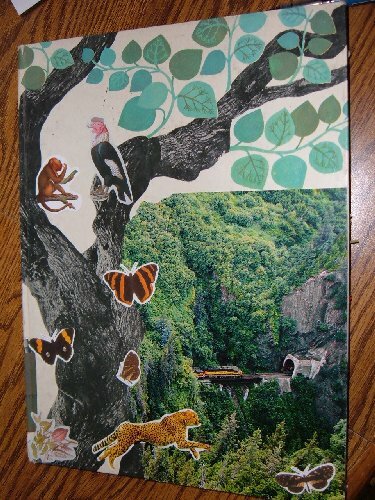 Altered art welcomed. Scrapbookers welcomed.